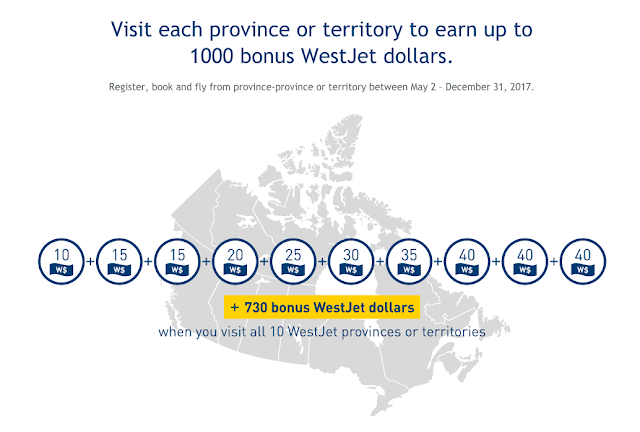 As you are likely aware, back at the start of May WestJet released a promotion for the remainder of the year for flying to provinces outside your home province. The more provinces you visit the more bonus dollars you receive. If you fly to 10 province/territories you'll earn 1,000 dollars in total bonuses! 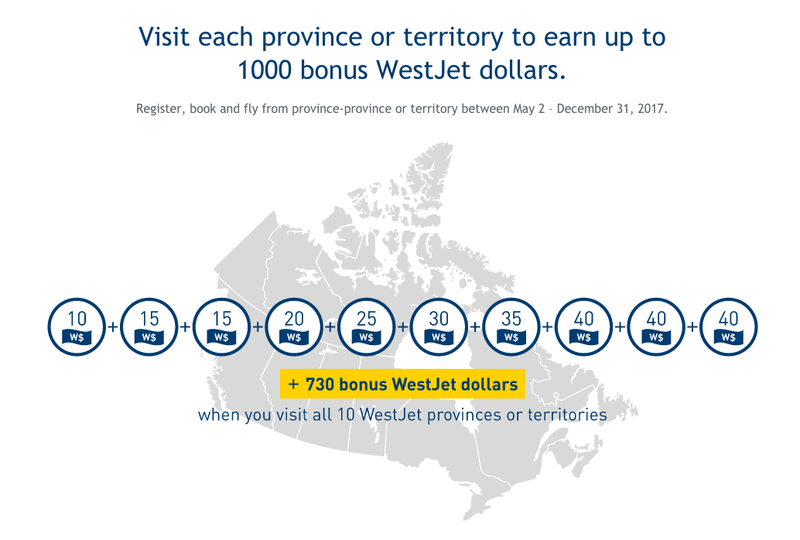 As we mentioned when the promotion launched we were particularly excited about it as we worked with WestJet Rewards to develop the promotion! From above you'll see that I earned my base WestJet dollars of 30 dollars for the round trip (that's at the 5% earn rate for having WestJet Gold Status) and I received the 10 bonus for visiting one province and the 15 bonus for returning home. Super easy way to earn 25 more WestJet dollars on flights I had already booked. All told with the bonus and elite earn on the flights my return was 9%. Not bad at all. Bottom line, if you have not registered for this promotion do so now. Perhaps you haven't as you have one flight planned and that was booked before May 2nd. Well the good news is you'll earn the bonus so go register! Have your earning story featured! 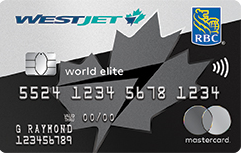 $250 WestJet dollars Bonus + Annual $99/$299/$399 Companion Flight when you sign up for and receive the WestJet RBC World Elite Mastercard. - Companion flight vouchers are an annual benefit. - First bag free for the primary cardholder up to 8 people traveling on the same reservation to anywhere WestJet flies!